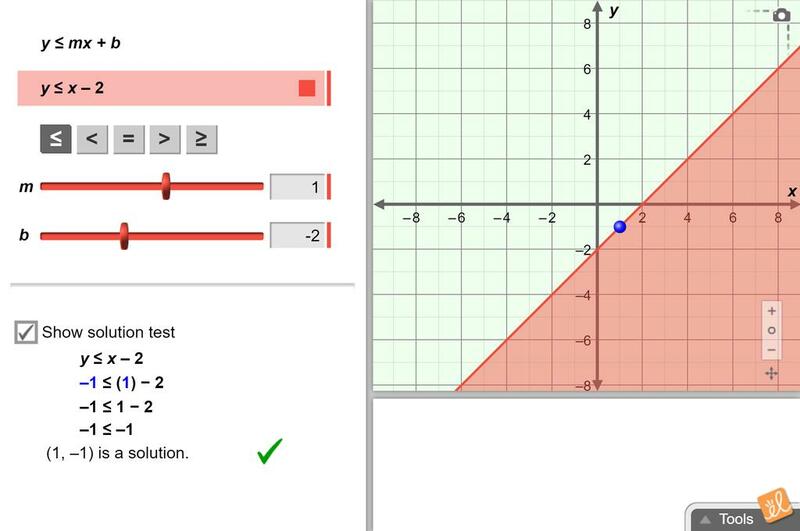 This is an extension document where students are asked to create a graph containing a specific point as a... (more) solution and another specific point as a non-solution. Students will find other solution and non-solution points and justify and then shift the inequality to make solutions non-solutions, etc. This document is the Exploration Guide made into a more user friendly document for students to use more o... (more)r less as a warm up. A second extension document simply entitled Linear Inequalities is also being contributed under separate cover. This worksheet can be used as a review or intro to graphing linear inequalities.